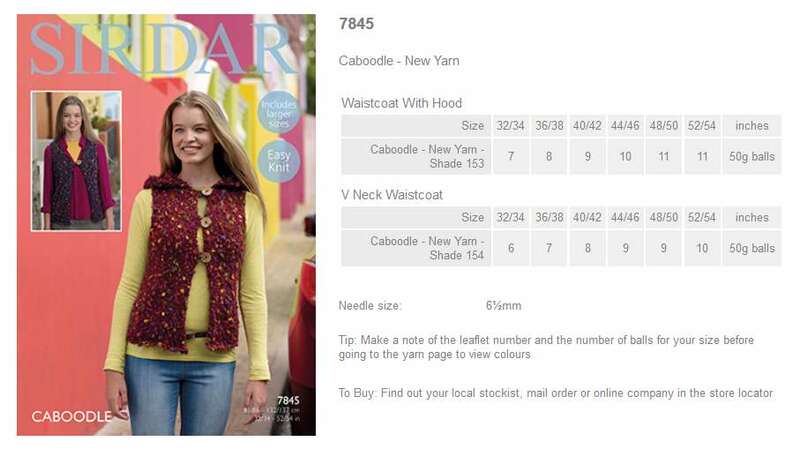 7845 - Waistcoat with Hood and V Neck Waistcoat using Caboodle Leaflet with designs for a Waistcoat with Hood and V Neck Waistcoat using Caboodle. 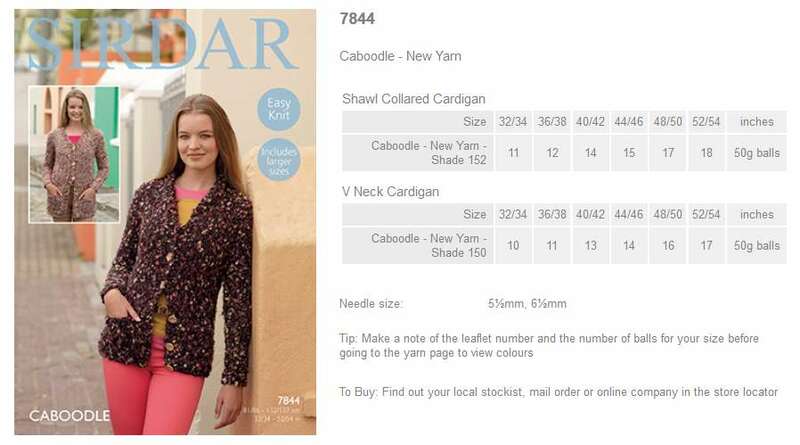 7844 - Shawl collared Cardigan and V Neck Cardigan using Caboodle Leaflet with designs for a Shawl collared Cardigan and V Neck Cardigan using Caboodle. 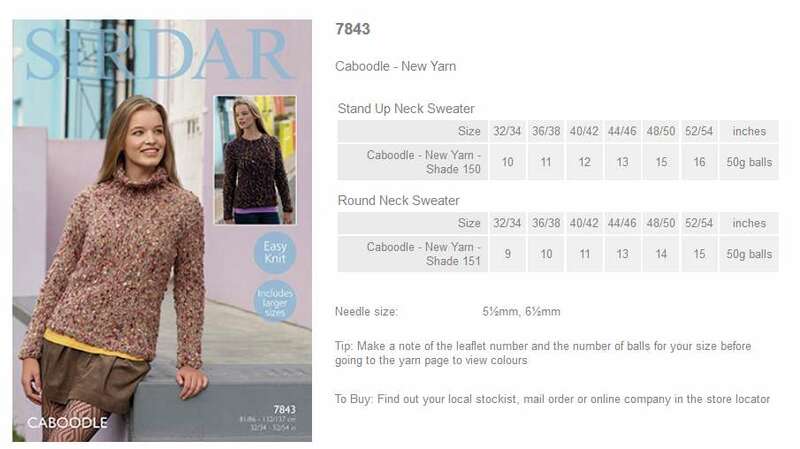 7843 - Stand up Neck Sweater and Round Neck Sweater using Caboodle Leaflet with designs for a Stand up Neck Sweater and Round Neck Sweater using Caboodle. 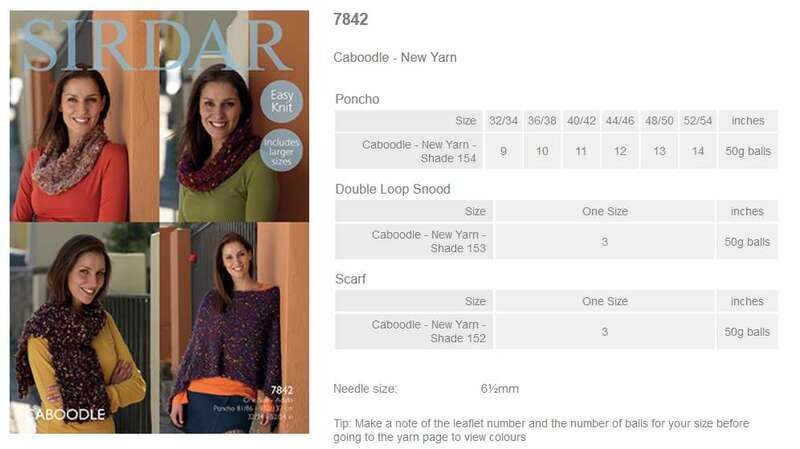 7842 - Poncho, Double loop Snood and Scarf using Caboodle Leaflet with designs for a Poncho, Double loop Snood and Scarf using Caboodle. 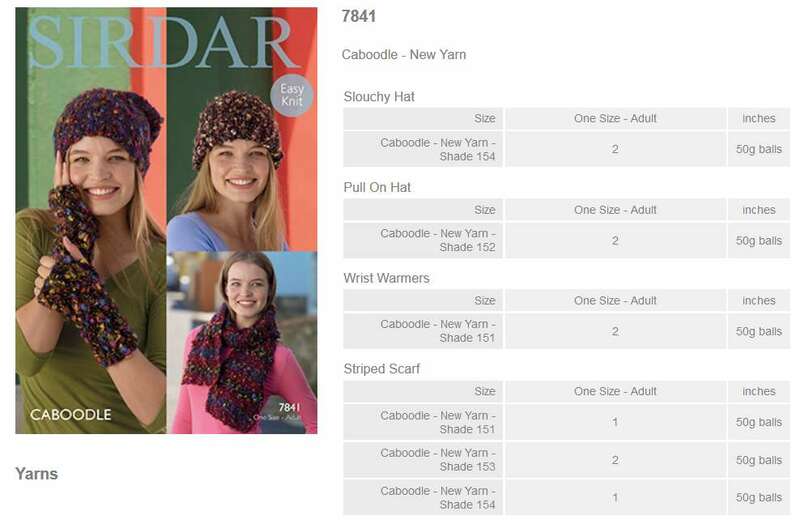 7841 - Hats, Wrist Warmers and Striped Scarf using Caboodle Leaflet with designs for Hats, Wrist Warmers and a Striped Scarf using Caboodle. 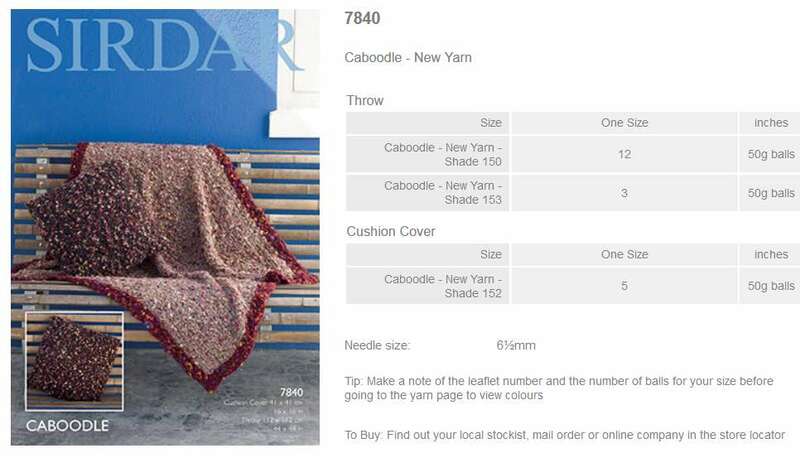 7840 - Throw and Cushion Cover using Caboodle Leaflet with designs for a Throw and Cushion Cover using Caboodle.